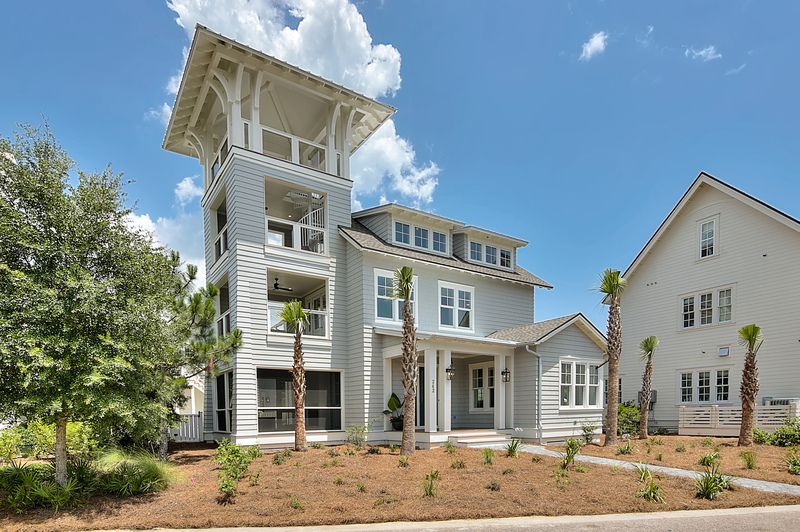 Brand New Beach House Just Listed in WaterSound! 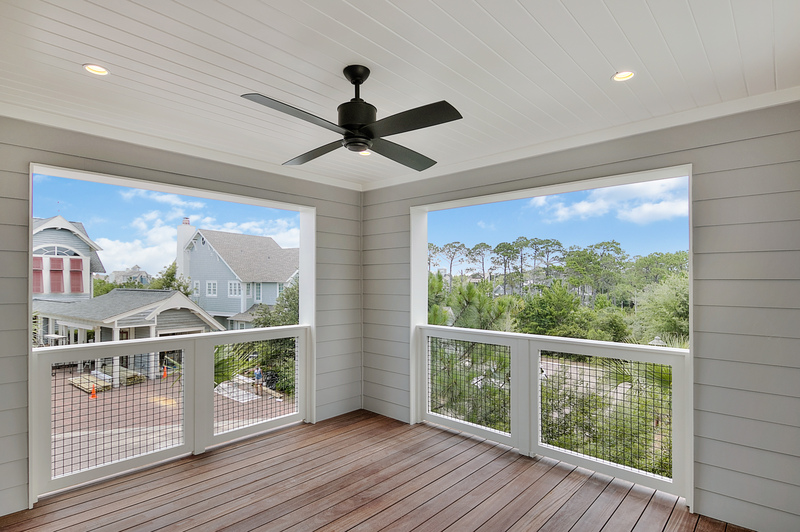 The Beach Group is pleased to announce this brand new 3,300 square foot beach house is new to the market tucked away on Gulf Bridge Lane in WaterSound Peninsula! This expansive 5 bedroom beach house including a bonus bunk room and appointed carriage house offers coveted first and second floor masters and coveted forever Gulf views! Complete with a backyard made for entertaining, this home’s courtyard hosts an infinity hot tub, L-shaped pool and an outdoor kitchen equipped with a grill, ice maker and mini fridge. 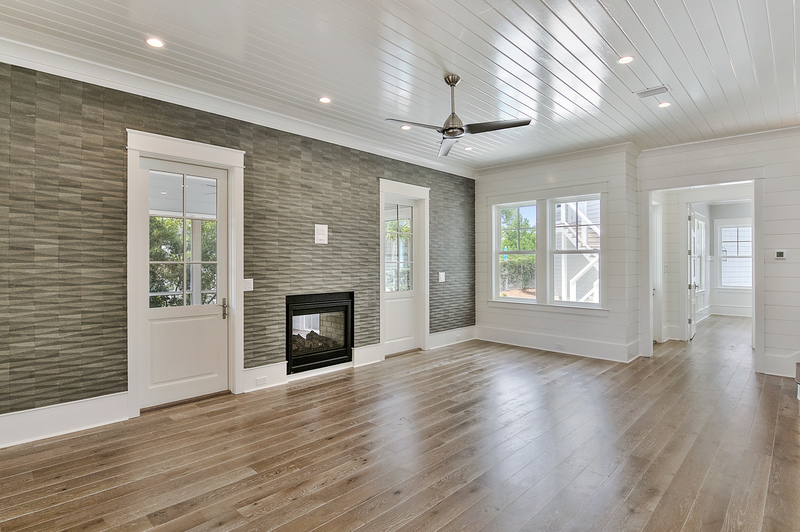 The large living room offers concrete geometric wall tile that spurs the conversation, recessed lighting, a double sided fireplace and two doors opening to the screened in porch. 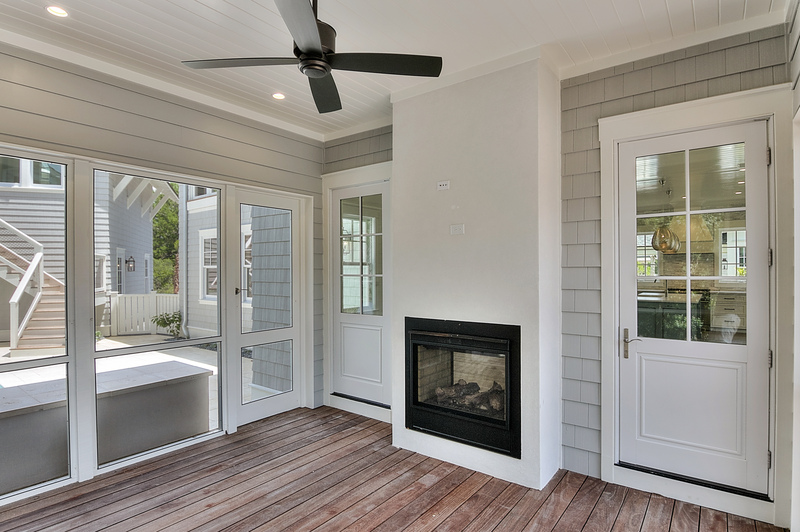 The main level’s screened in porch opens to the outdoor kitchen and pool deck and features a shared fireplace to warm up the coolest evenings spent making memories here. Each of the bedrooms comes equipped with an attached bath and access to coveted outdoor living off of each. 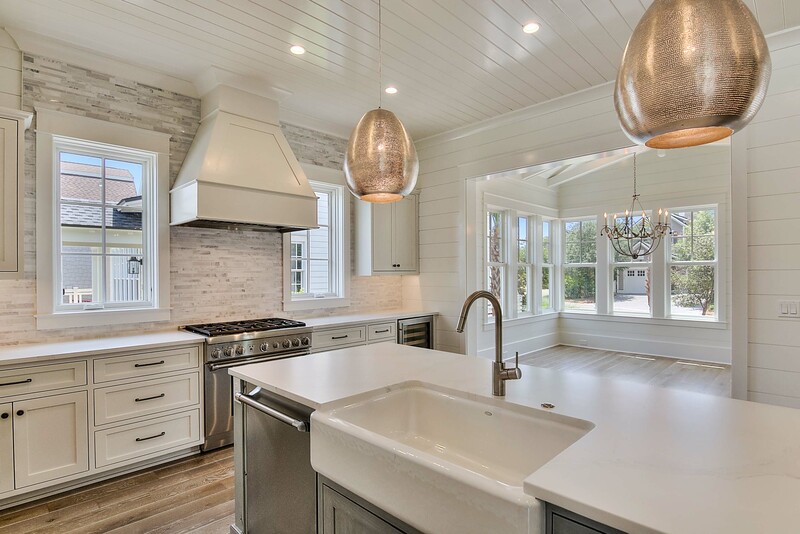 The heart of the home is centered around a large kitchen island with custom finishes, an apron sink, modern pendant lights, a Thermador dishwasher, and breakfast bar seating. 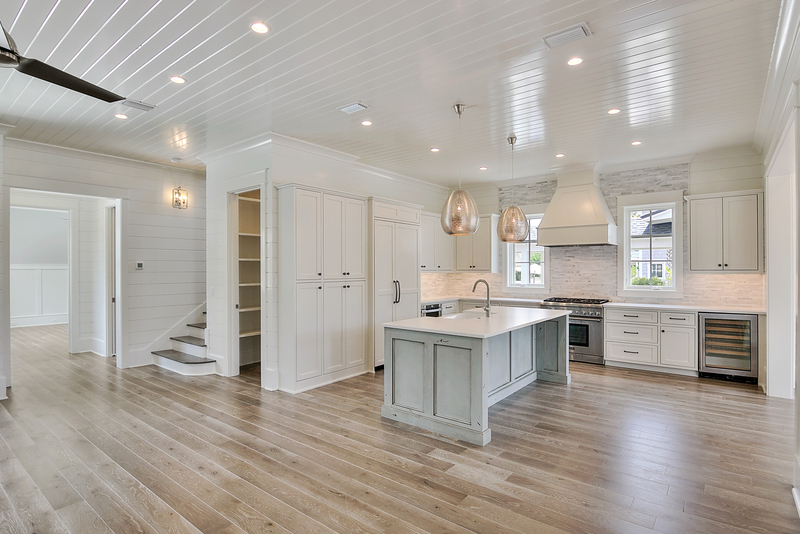 The appointed carriage house is located off of the fenced in pool deck and offers a spacious living room, large bedroom and full bath with 13-foot ceilings and transom windows throughout for that added Southern charm. 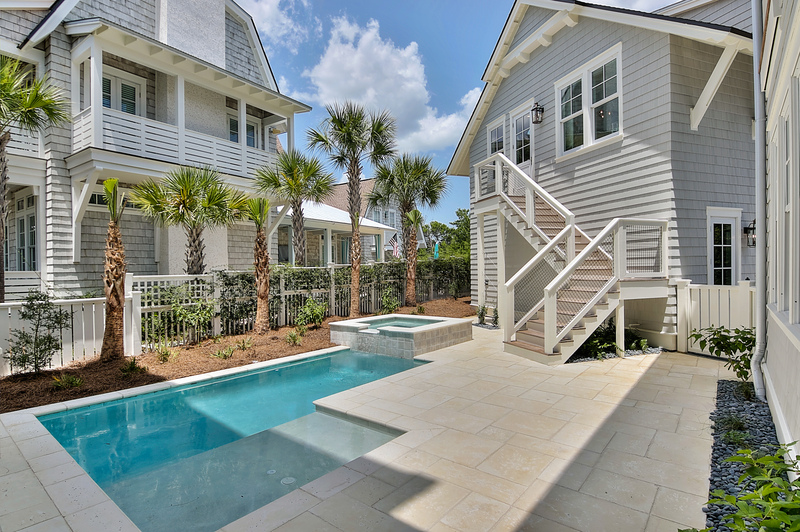 Call today to schedule a showing of this WaterSound Beach home! 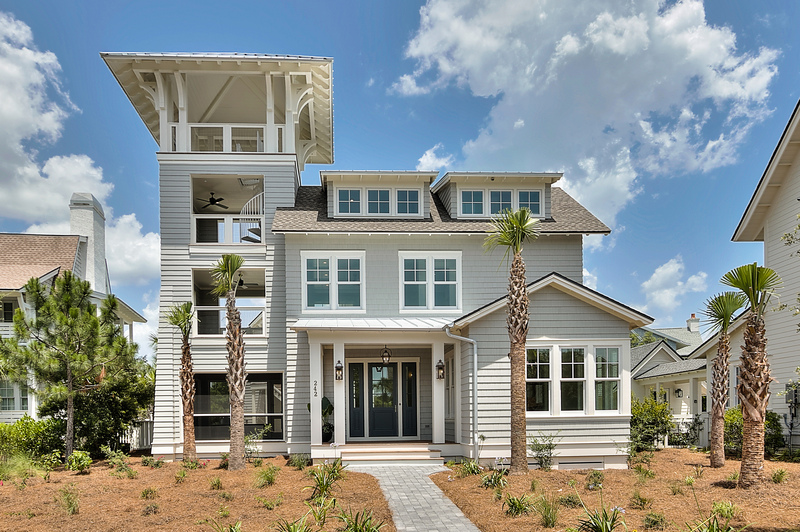 For more information on properties available in WaterSound or along Scenic 30-A, contact The Beach Group today! This entry was posted in Gulf View Home for Sale, Homes for Sale, News, WaterSound. Bookmark the permalink.